Vantage from AppThemes is probably the most popular WordPress directory theme, and with a good reason. 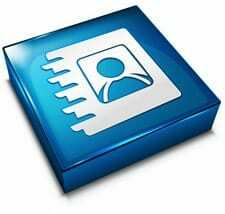 Actually, there are numerous reasons people all over the world choose Vantage instead of other similar directory themes. Of course this is not the first directory theme ever invented, and of course there have been many other ones previously, but it’s no exaggeration when I say this is probably one of the best directory themes out there, if not the very best one. Despite the endless options this theme offers, installing Vantage takes only few minutes and the process is as easy as possible. It is without a doubt one of the easiest themes to setup considering all the features that this theme brings along. Losing hours or days on troubleshooting and maintenance of other directory themes is in the past now. Within only few minutes of downloading this theme, you will be able to create a fully professional and functional directory site. Only one small review won’t do this theme justice, because it has so many splendid and useful features, I could go on all day long about them, but anyway, let’s try and mention at least the most important things Vantage offers. The theme design is probably the first thing to notice about any theme, but especially Vantage, simply because it looks so good, which is not so common among WordPress directory themes, and we all know it! Unlike many other similar ones, this business directory theme for WordPress actually looks beautiful, and there will be no comparison to your competition, you will most certainly have a website that looks far better than the rest. We all know business people like advertising their products on a nice looking website (well, it’s only natural, isn’t it? ), and you can be sure that with Vantage you will have yourself a fully professional website that actually looks great and you will be able to show it off to anyone who may want to advertise with you. Of course the design itself won’t be crucial for selling listings on your website, but let’s face it, competing with other directories that are much uglier is going to be fun, to say the least. Like all other AppThemes products, the user front-end of this directory theme is intuitive. Each visitor can make their own listings right there on the front end without having to mess with the WordPress backend and get deep into things for creating a simple listing. Each user account has a very nice profile of their own, that includes the user’s info along with Twitter, Facebook and/or their website, as well as the number of all the listings and reviews they may have done. Keep in mind that this is something no other theme actually has! As for frontend options that are there to make your life a lot easier, it’s important to know that the payment gateway is built in as a part of the listing setup, so you will be able to easily “collect money” for the listings, or to be featured at the very top of the homepage, or the category pages, however you like it best. The whole homepage is very presentable and easy to follow, everything is well put together and very simple to understand, and at the same time it all looks very nice. At the top of the homepage you will have your expected home, categories, create listing and blog. The search form is right below, and all of your business listings will be presented and put in the spotlight of your website. At the right you can add your recent reviews space, where the reviews will be shown in a nice, classy way, and then you will have your text widget where you can write whatever you want to. There is of course a special place for advertisement where you can put your banners and adverts, and of course you can state your popular categories in a separate space built just for them, and the recent listings area displayed can also help your visitors find their way on your website with ease. At the bottom of your homepage all your social network buttons can be found, along with more space for advertising, more recent listings, and text widgets. You can personalize your homepage and let it have a bit of your own touch. It already looks great; why not enrich it with interesting adverts and eye-catching text. Creating a listing is actually very easy with Vantage, just like everything else in this theme. Just click the “create listing” link and you will be given a simple form to fill in in order to create your listing. 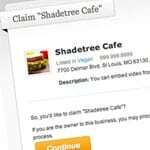 This includes essential info on the listing, title and address, listing type, contact info, along with phone number, Facebook, Twitter and website, and additional info where you can add listing images and write a business description with tags added. Vantage is not just a directory, but a complete website because it doesn’t cut off all the nice features that make WordPress so popular – like the blog and CMS features. You can easily use the blog to promote your directory and create a portal with a lot of content making the website interesting for many visitors. The Claim Listings option will allow you to stop waiting for business owners to come to you. It will be very easy to entice them to sign up with a built in claim a listing function. You can populate your website by importing as many listings as you want, and mark specific ones as “claimable”, where business owners will be able to claim and pay for the listing. When it comes to social features, the people of AppThemes made sure that Vantage doesn’t only support Facebook and Twitter, this theme works with important social plugins like ShareThis and Social Connect. Vantage sets your directory website apart from other by many things, and one of them is the ability to create custom forms very easily and within few minutes. This great feature allows you to create unique forms for each and every listing type, so you can have your listings specified and separated in custom forms so your visitors know exactly where to look for what they need. 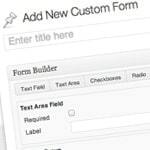 All kinds of various custom input fields can be added to listing submission forms, including check boxes, paragraphs, text fields, radio buttons & select lists. Vantage has Google Maps integration, and lets you decide on your own, whether you want to use it or not. This widget will show the exact place of the business listed. 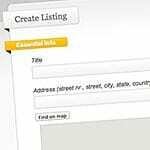 A Location Finder Map is also put on the “create a listing” form so business owners can specify their exact location when they are creating a listing. Visitors tend to like websites and directories that allow them to be interactive, and Vantage delivers this option, too. 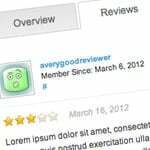 You can have user generated ratings and reviews where the businesses are rated on a 5 star rating system. All the reviews can be moderated so no worries about bad ones, you will have full control over your directory, and as announced in Vantage 1.1 business owners will be able to respond to reviews, which is a nice breakthrough. Your users will be able to create their own favorites so they can find their favorite listings very easy. They will be able to mark their best listings as “favorite” after which they will be able to easily find those in their customer dashboard. When it comes to widgets, Vantage works with all the default WordPress widgets, plus many custom widgets included, such as: popular categories, related categories, recent listings, recent reviews, single listing map widget, social links, and multiple ad widgets for various locations in the theme. The theme is SEO friendly. We all know how important SEO is for any business, and this theme, just like all the others from AppThemes, was built to instantly make sure the SEO power of WordPress is fully taken advantage of, so all you need to worry about is running your business. Your website will be seen and shown where it should be, no worries about that. When it comes to pricing packages, there is a Standard version that costs $69, and a Club theme membership that costs $199. Both items include unlimited licenses to use on multiple websites and 12 months free updates & support. If you want an AppThemes Vantage coupon, you already know we got a special one for you, we always choose the best for our readers, don’t we? An AppThemes Vantage discount is here to put a smile on your face and sweeten up your day a little bit, because let’s face it, getting a good product with a great discount is something we all like and cherish. Check out our AppThemes discount code page for the latest coupon code to buy your Vantage theme with discount! Vantage is by far one of the most advanced, robust and functional WordPress business directory themes we have ever come across. It actually stands out compared to other directory themes, not just by looking so great, but by having many useful options and special features many other similar themes simply don’t have. The theme has brilliant support and it gets improved and fixed as frequently as possible, making sure any bugs are removed and the theme overall is updated at all times. Updates release is regular, and new features are added all the time, while the old ones are getting improved and enhanced. Renee, you mentioned the recurring payment issue was addressed. But someone else mentioned there are no forums or support. Do you still recommend this theme? Also, is it responsive? You may have covered this but I didn’t see it. Thanks. Eric, you mention it has a dated look? In what way? And have you found anything that looks better? Vantage Directory Theme by AppThemes has tons of potential, however, as a serious online business platform for business directory listings it currently fails because of the lack of Recurring Payments. Recurring Payments are scheduled to be implemented in a new update v1.3 no later than December. However, based on how they have been hitting deadlines, it could be 1st or 2nd quarter 2014 if were lucky. being addressed. I dont’ know what their problem is but they still do not have a stable directory version that a business man/woman can count on. Don’t believe me, just read the Vantage forum for yourself. All I see is that they are pushing out more themes for revenue generation, rather than providing their existing customers who have parted with hard earned dollars a reliable and stable product to build a business on. It is just sad, truly very sad. It is a wonderful product with many great features but if not stable and reliable, it is useless. I have to agree with Chelsea. I am a former Vantage user and it’s a fair directory theme but defiantly now the best I have found. The design also has a dated feel about it. More inline with Web 2.0 then 3.0. 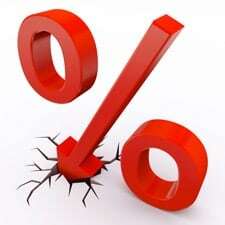 There is one very important feature that Vantage does not have which is causing uproar in the forums and that is reoccurring payments. Users are complaining but the bucket load and the response is that the developer who was working on vantage in now on another theme and it won’t be added any time soon. This is even after back in May 2012 they promised it wouldn’t be long..lol. BTW forum supports in the vantage section is non existent too. I must personally say that Vantage is the best WordPress theme I have switched to. I have noticed that since I have switched to this theme, my bounce rate ha decreased a lot. I have to say Vantage is one of the best themes around. Good review. What a great review. I have to say that Vantage is a great WP theme and would recommend it to anyone. Thanks so much for writing up a great article on it. Wonderful blog post…!Vantage is definitely best suited for focusing on a single niche better than any of the other local directory themes. It’s really great, that i’ve found this theme so fast. THANK YOU RENEE!